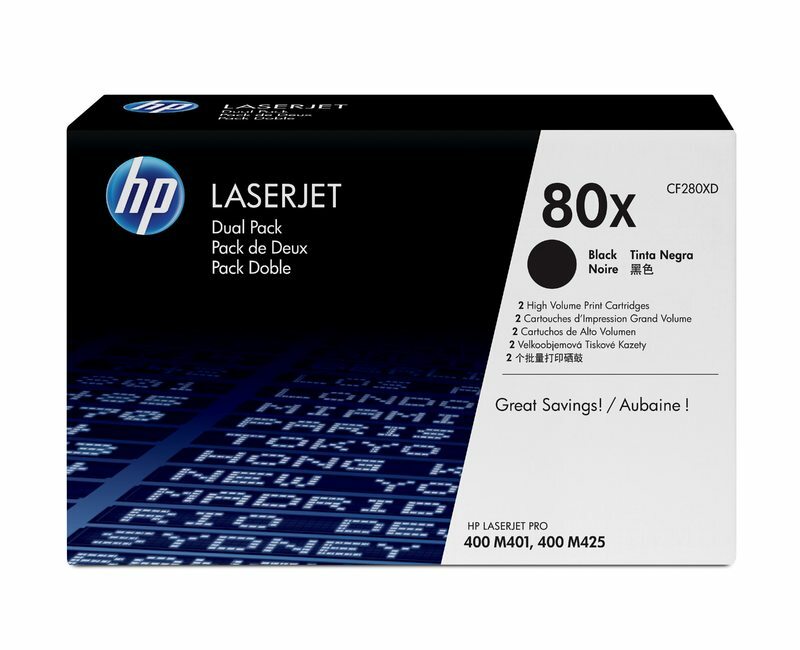 HP 80X LaserJet Toner Cartridge Dual Pack prints professional-quality documents and offers better value than individual cartridges. Stay productive by keeping an extra cartridge on hand. Simplify ordering with two cartridges packaged together.